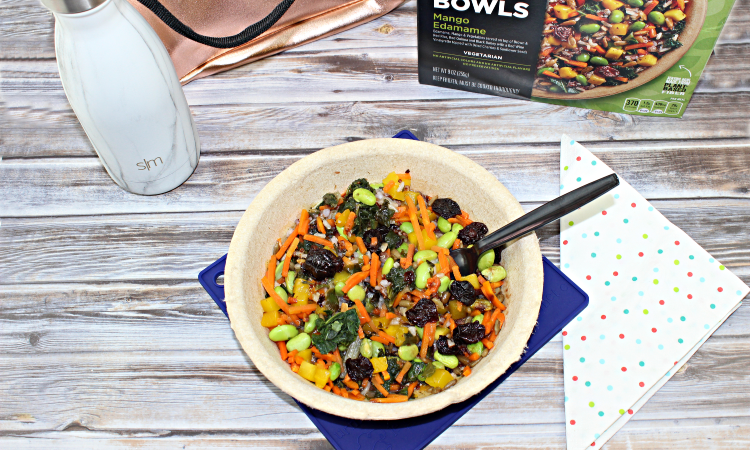 Power Bowls by Healthy Choice are not only delicious, they are easy to prepare, easy to take with you to work for a quick lunch, and they are recyclable! How did 2018 end for you? 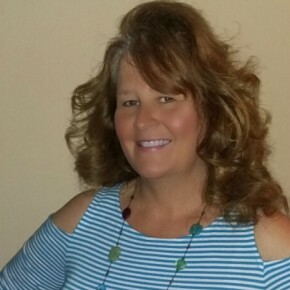 For me, rougher then I thought! I had my goals of ending 2018 on a high note then crushing 2019. Well, it didn’t quite happen the way I thought. My recuperation from a minor procedure in November is taking longer then I thought. Then right before Christmas, literally two weeks before Christmas, three of the four of us (thankfully NOT me) come down with some sort of a Upper Respiratory infection. As my husband and oldest were dealing with it, my youngest caught it. Since she has a really weak immune system we know usually a normal cold will explode into something more…..and it did. She ended up with Pneumonia. Now as with all parents, we stay up and watch them (aka hover over them) when they have fevers. Since she has Epilepsy and fevers will bring on seizures, I watch her like a hawk. Four days of fevers that would go from 99 to 103.7 with no warning is rough on them; and of course on us as well. So we spent the holidays at home with everyone recuperating. And since I’m an emotional eater, I ate A LOT. 2019 came and after everyone went back to work and school, I got on the scale. Wanna guess what I gained from between November to January??? 12 lbs. Yeah NOT what I wanted to see. That is why when I heard about Healthy Choice’s new Power Bowls, I was intrigued. I needed to find ways to want to eat healthy food, make healthy choices, AND to focus on getting myself back on track. 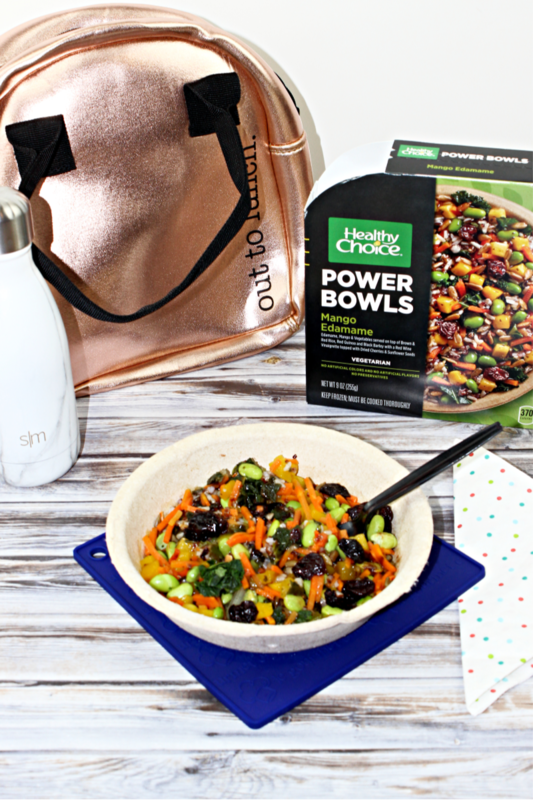 The new power bowls from Healthy Choice are actually the PERFECT way to Kickstart your Day! And why you ask? Because not only do they have Morning Power Bowls, they also have Vegan and Vegetarian Power Bowls that are quick and easy for lunch! What makes the morning power bowls great is that you can get a quick protein filled meal in just literally minutes. You just take one of these power bowls out of the freezer, pop in the microwave and a protein filled power bowl will be hot and fresh is ready for you to enjoy! Healthy Choice launched four morning Power Bowls to provide health-conscious, time-starved consumers with a quick, nutrient-dense addition to breakfast time in a popular bowl format. Each flavorful recipe includes purposeful ingredients for a well-balanced meal of leafy greens, proteins, ancient grains and steel cut oats. ● Unwrapped Burrito Scramble – turkey sausage with egg whites, black beans and vegetables served on top of steel cut oats, farro, buckwheat and red quinoa with a spicy tomatillo sauce. 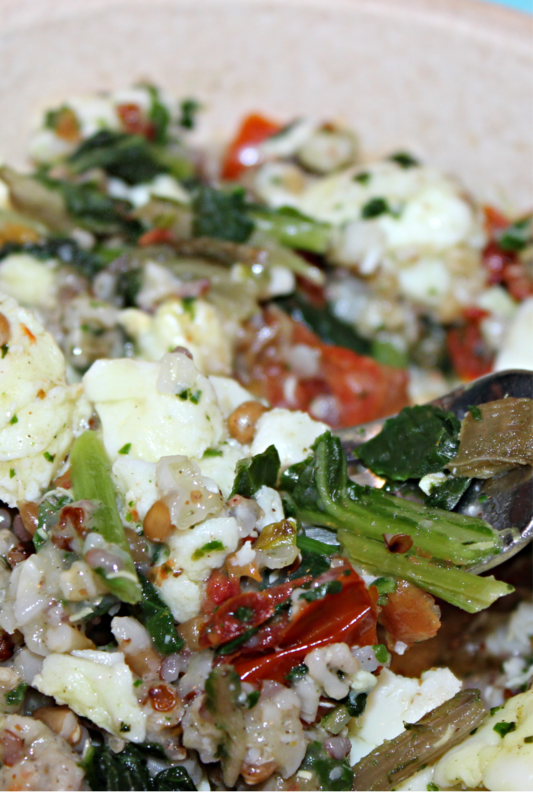 ● Roasted Red Pepper & Egg White Shakshuka – egg whites with red bell peppers, onions, chard, kale & spinach served on top of steel cut oats, farro, buckwheat and red quinoa with a spicy tomato & red pepper sauce topped with feta cheese. This would be a great morning vegetarian power bowl! 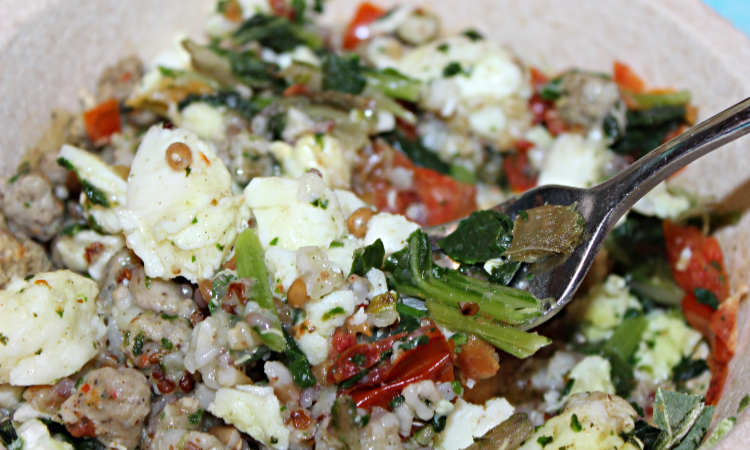 ● Pesto & Egg White Scramble – egg whites with white kidney beans and vegetables served on top of steel cut oats, farro, buckwheat and red quinoa with a basil pesto sauce topped with parmesan cheese. This would also be another great morning vegetarian power bowl! For our post, we received the Turkey Sausage & Egg White Scramble. 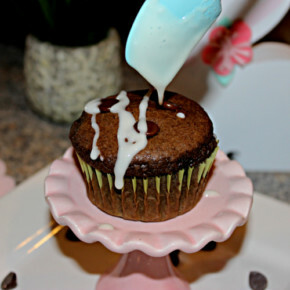 Here are a few photos so you can see the deliciousness! Now I know what you are thinking. That is great about in the morning but what about for lunch? I get it, lunch is HHHHHAAAAARRRDDDD! That is where I struggle too! Mornings are easy since I’m getting the kids ready for the day, but lunch is hard! Especially if I’m out doing errands and you see the temptations and think it would be SOOOOO much quicker to just hit the drive-thru! However, with the new Vegan and Vegetarian Power Bowls that Healthy Choice recently introduced, you can have a quick, healthy lunch that in just one bowl contains 10 – 16 grams of protein AND 7 – 16 grams of fiber in EACH bowl! ● White Bean & Feta Salad (Vegetarian) – white kidney beans with kale, chard & spinach served on top of brown & red rice, red quinoa and black barley with a red wine vinaigrette topped with feta cheese, dried cranberries & roasted pepitas. 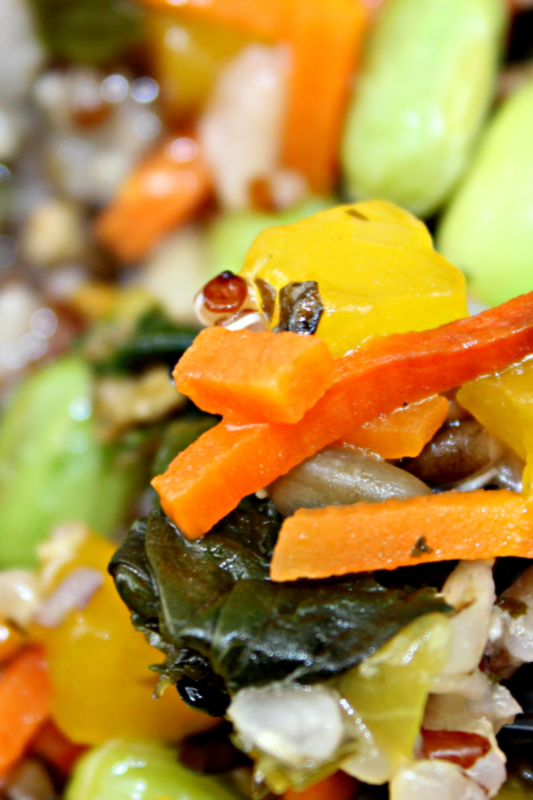 ● Mango Edamame (Vegetarian) – edamame, mango & vegetables served on top of brown & red rice, red quinoa and black barley with red wine vinaigrette topped with dried cherries & sunflower seeds. ● Falafel & Tahini (Vegan) – falafel with red onions, tomatoes, chard, kale and spinach served on top of brown & red rice, red quinoa and black barley with a sesame tahini sauce. ● Cauliflower Curry (Vegan) – lentils & cauliflower with chard, kale & spinach served on top of brown & red rice, red quinoa and black barley with a spicy curry sauce. For our post, we received the Mango Edamame to try out. I thought I’d give you a close up! 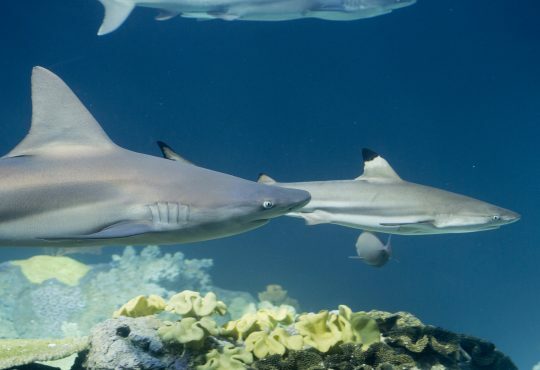 Now imagine that deliciousness for lunch! 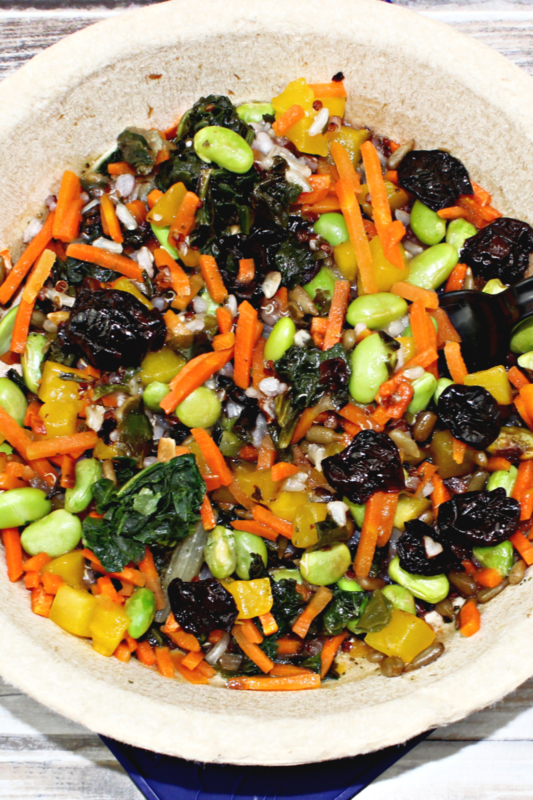 A fabulous vegetable bowl that is ready to eat in a serving bowl that is made from a fiber that is totally recyclable! That means no bowls to clean up after lunch! Are you hungry yet? 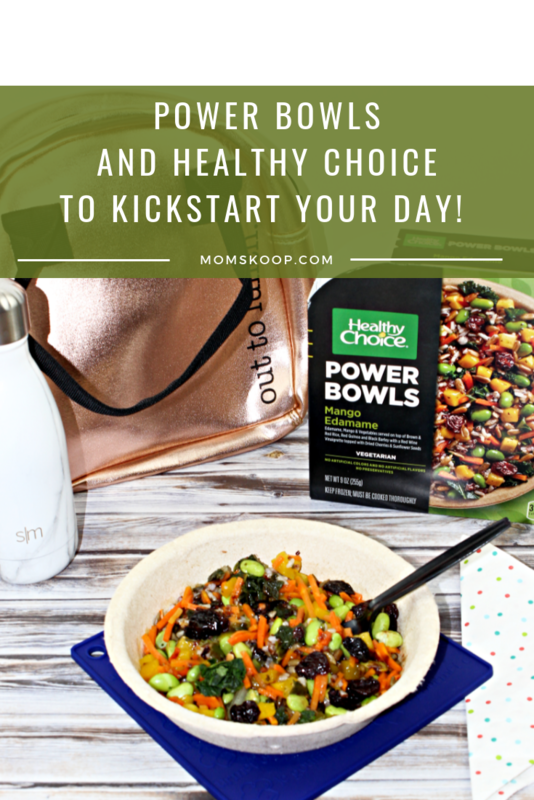 These new Power Bowls from Healthy Choice make it really easy to kickstart your day and 2019! When former CEO Mike Harper suffered a heart attack in 1985, he began seeking healthier diet alternatives. This led to his idea for a line of delicious and healthy frozen foods that would help make it easier for people to live a healthier lifestyle. And after teaming with the FDA to create a set of standards that all foods must meet in order to be called “healthy,” Healthy Choice was born. you live a healthy lifestyle. They’re unique dishes full of gourmet flavors and fresh tasting ingredients, for freshness you can see and taste.